So it's Valentine's this week and I thought now was as good a time as any to write a little post on why I find the "romance making individual with mental health issues magically better" trope so frustrating. 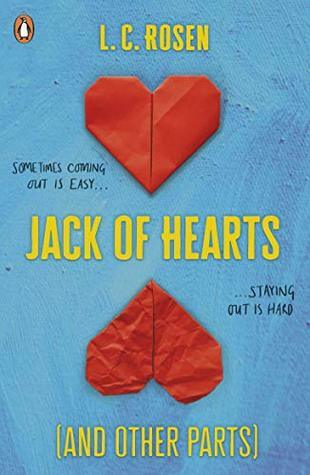 It's quite a common theme, especially in YA books, to feature a young person with ongoing mental health issues meeting someone and learning how to date etc regardless of their issues. In general this storyline is something which can be both fun to read and enlightening into how people with MH issues can still have crushes/attraction/whatever. However, the issues arises, when characters meet the cute person and somehow are able to engage in activities that they had previously been unable to do just because they're trying to impress someone. It's simply untrue, and it's misleading. Take this as an example (which I have read in several books): Girl with severe anxiety, previously unable to go out into large public spaces, meets boy and is suddenly able to enter into one of her most triggering environments because his eyes are so dreamy or something that it takes all the anxiety away. Let me just hold that phone right there like?? Yeah maybe the dude is cute but no amount of cuteness in someone else has ever prevented me from having an anxiety attack in an environment which, to me, is terrifying. Maybe it's just me, maybe because I'm single, (aro?) ace and cynical, I can't relate to the magical cure which is a date, but I just don't believe that that's the case, because surely one of the many healthcare professionals I've seen for my mental health over the years would have told me that this was the answer 😂. I know that many of these books are trying to be heartwarming, let us know that your mental health difficulties won't stop you from establishing a relationship etc. But I just find it very difficult because on a personal level I find that in fact it makes me feel the opposite. That because no one has come along and somehow helped me 'recover' it means it may never happen. I know that's a bit ridiculous but what can I say, that's how it is for me! Further to this I want to say that there are also books that do romance and mental health so well, Under Rose-Tainted Skies by Louise Gornall; Am I Normal Yet? by Holly Bourne and When We Collided by Emery Lord all feature different types of romance/relationships and mental health issues and I think are really good reads! So overall what I'm saying is, mental health and romance can feature together in books well but there is definitely a recurring trope whereby people show dramatic recovery from complex issues as the result of romance which is unrealistic and can be damaging, and it's just something to be aware of I suppose. What are your thoughts on romance and mental health? Let me know in a comment and if you have recommendations of books that do MH well please tell me!